THUD! That’s the sound of Cycle Sport June hitting your doormat. The latest edition of the magazine, which is out in the UK now, features not only the very best writing and photography of professional cycling, but also a 32-page Giro d’Italia guide, a 16-page retro picture special on Italy’s biggest race, and three unique art prints. 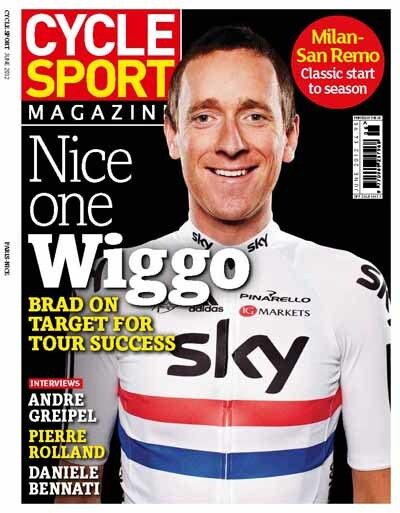 Cycle Sport’s Edward Pickering was at Paris-Nice to witness Bradley Wiggins’ historic victory in the race, which we’ve celebrated by making Wiggins our cover star this month. From the outside, the performance looked like classic Sky/British Cycling: it was all about the process – controlling the controllables, refusing to countenance victory until it had happened, and making it clear that this was all part of a bigger plan for July. The best that team boss David Brailsford and manager Sean Yates could do during the race was accept that things had gone very well so far. 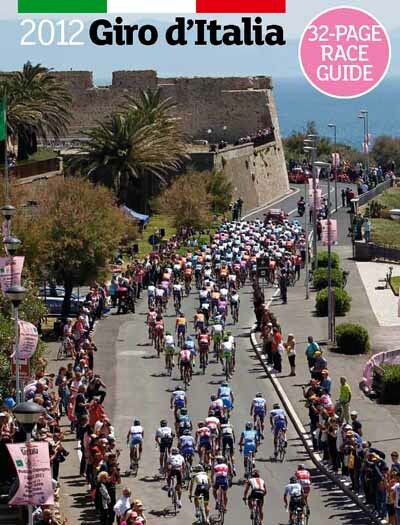 Cycle Sport June comes with a 32-page Giro d’Italia guide, featuring all the stages, contenders and a look back at the best moments of the race’s history. With expert testimony from riders, managers and former Giro stars, this is the most in-depth guide to the race available and will be your essential companion to the first Grand Tour of the year. 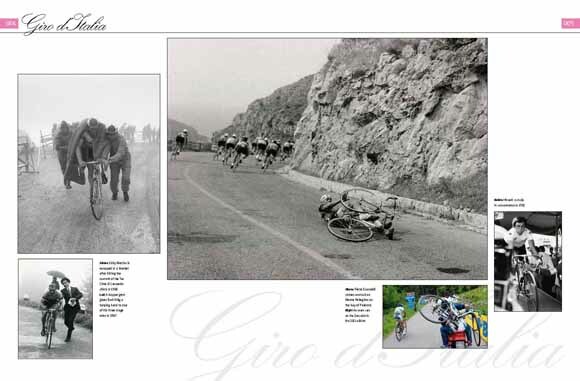 There’s also a 16-page photographic supplement of the Giro: Iconic images of the race. We’ve scoured the photographic archives for some classic Giro pics: Eddy Merckx on a torrid day at Tre Cime di Lavaredo in 1968, Fignon sprinting to victory in the pink jersey in 1989 and five-time winner Fausto Coppi, among many other evocative pictures. On top of that, we’ve included three 10×8-inch retro prints on card portraying some of the race’s lighter moments. We’ll never know what André Greipel would have won if he’d been given the same chances as Mark Cavendish when the pair were riding for Columbia/HTC between 2008 and 2010. After his extraordinary winning streak at the 2008 Tour, the Brit was the favoured option for the team, while Greipel chafed in his shadow, riding different events, albeit with great success. Greipel feels he doesn’t have to prove his pedigree – he beat Cavendish fair and square in a straight sprint in stage 10 at last year’s Tour, and came into 2012 looking stronger and leaner than ever. 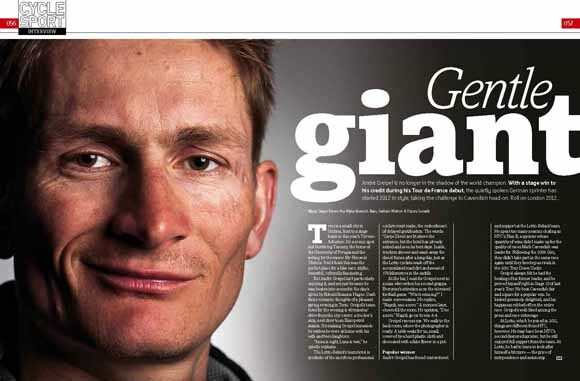 Gregor Brown talked to Greipel about his character, and listened to the German talk honestly about his strengths and weaknesses. Greipel has lost sprints that a more devious sprinter might have won – rather than cut riders off when he is ahead, he refuses to cause danger by closing the door. “I’m fair in the sprint. Do I need to be more aggressive or put people into fences? No, that is not my mentality,” he says. Thomas Voeckler hogged the headlines in France last year for his extraordinary fourth place overall and spell in the yellow jersey. But while he got a lot of publicity, he came away not actually having won anything. On the other hand, his team-mate Pierre Rolland won the Alpe d’Huez stage and the white jersey, on his way to 10th overall. Edward Pickering interviewed Rolland earlier this year, and discovered a modest but ambitious rider, described by team boss Jean-Réné Bernaudeau as ”bien élévé” (well brought-up) and treated by the other Europcar riders as everybody’s favourite younger brother. He’s going to be good, too. At Alpe d’Huez, he worked over Alberto Contador and Samuel Sanchez, and his 10th overall (actually 11th, until Contador was stripped of his fifth overall) at the age of 24 promises further improvement. And what most people don’t realise is that Rolland lost five minutes (out of 10-43 he lost to winner Cadel Evans) getting caught behind crashes on two separate occasions in the first week. “I can finish in the top 10 of the Tour. No, I can do better than that. I can win a week-long stage race. 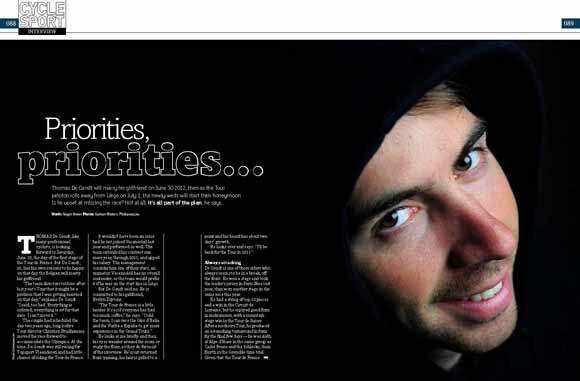 I hope I can finish in the top five of the Tour,” he says. 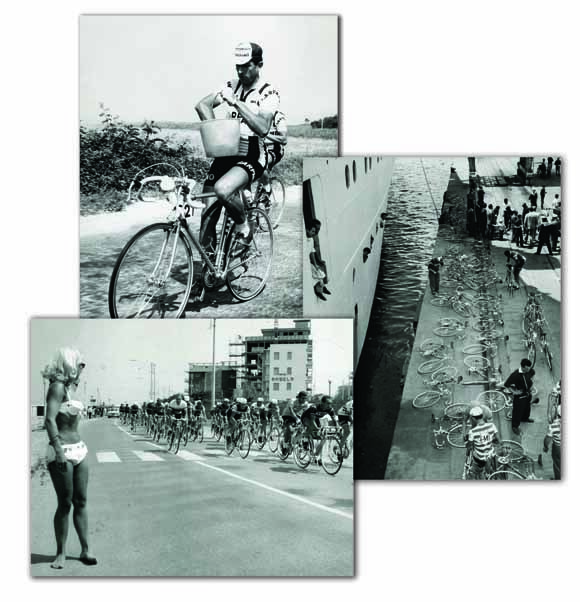 Milan-San Remo is one of the most evocative races of the cycling year. Its great distance and history make it a special event. 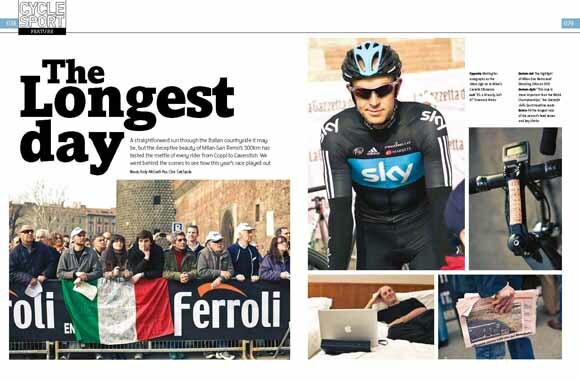 In The longest day, Andy McGrath and photographer Chris Catchpole document the day from the point of view of a single domestique, Sky’s Ian Stannard, and speak to one of the day’s breakaway riders, Michael Morkov, whose 234 kilometres off the front was longer than most races. Our new favourite rider is Vacansoleil’s Thomas De Gendt who sheepishly explained to Gregor Brown why he’s definitely not riding the Tour de France this year. The Dutchman arranged to marry his fiancée on June 30th, the weekend before the Grand Départ, and then the start date was brought forward a week to avoid clashing with the Olympics. “The team directors told me that it might be a problem, but I said, ‘too bad,’” he explains. De Gendt is an attack-minded rider in an attack-minded team: he’s won stages in consecutive Paris-Nice races, but he’s also a strong all-rounder. 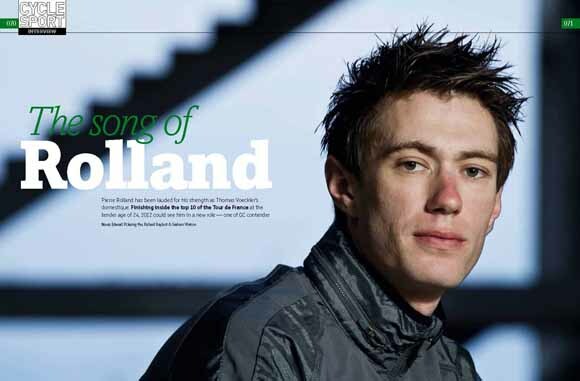 He was sixth at Alpe d’Huez in last year’s Tour, then fourth in the Grenoble time trial. He professes to have no ambitions for the general classification in Grand Tours, feeling it would blunt his attacking opportunities. He won’t be in France this summer, but the Giro and Vuelta will be richer for his presence. Mark Cavendish is currently struggling with the conundrum of how to win as many Tour stages as possible in the same team as a GC contender, and then go on to win the Olympic road race the week afterwards. His former advisor Erik Zabel could tell him how to manage it – the German often rode the Tour going for the green jersey along with Jan Ullrich going for yellow, then had to be in top form for HEW-Cyclassics, the biggest German one-day race, just after the Tour. 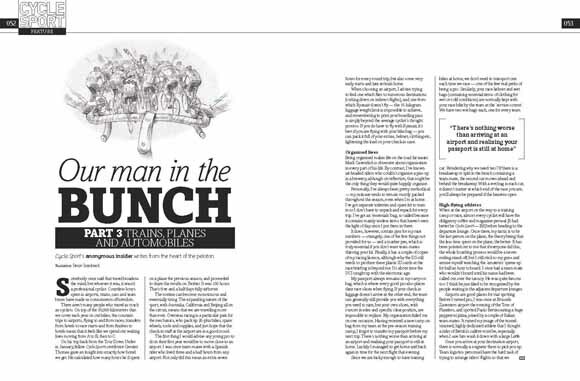 Zabel tells Alasdair Fotheringham how he succeeded, and gives Cavendish some advice: don’t pull out of the Tour. “If he wins the green jersey then he has something in his pocket before the Games,” he says. 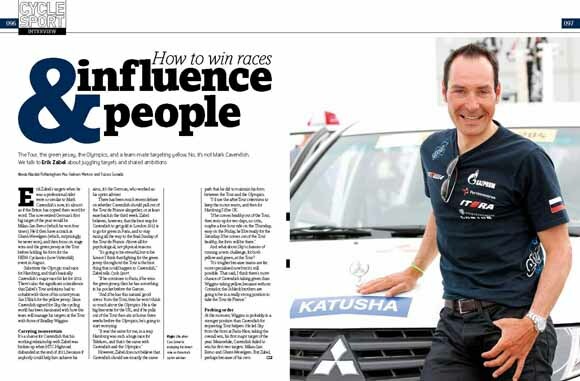 Zabel also tells CS about his new job as sprint advisor at Katusha, and why he wishes he’d left T-Mobile sooner as a rider. Iconic Places has an Italian flavour this month, visiting the Passo di Fedaia, better known as the Marmolada. 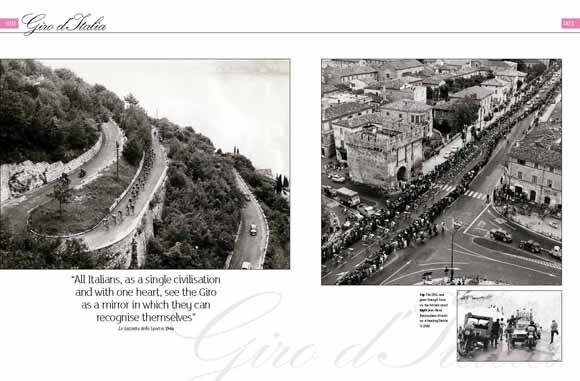 This impossibly steep climb has become a regular Giro d’Italia fixture since its first inclusion in 1970. Chris Sidwells details the history of the climb, and recalls some of the greatest exploits on its slopes, from Stephen Roche clinching the 1987 pink jersey, to Chiappucci and Indurain’s battle of 1993. Plus…All our regular features – Graham Watson shares his best pictures and memories of the early Classics; Shop Window puts temptation your way in the form of extraordinarily shiny bike kid; Broomwagon makes enemies of everybody, from riders, through managers to other journalists; Boonen’s brilliant spring; Any Questions with Daniele Bennati (“Everybody thinks I’ve been on the sunbed, but it’s not like that”); Fantasy team; Julian Dean: hard as nails; Top 10 hissy fits; Our man Geraint Thomas reports back from Paris-Nice; scurrilous rumours, polls, Eurotrash, Wiggo vs Evans, great writing, brilliant photography and much, much more. That’s eight major features, plus a Giro guide, a picture book and three art prints and all our regular pieces, for £4.95. It’s barely twice the cost of the overpriced mochafrappuccino you bought from a bored barista at the railway station this morning, and it’s got none of the froth. 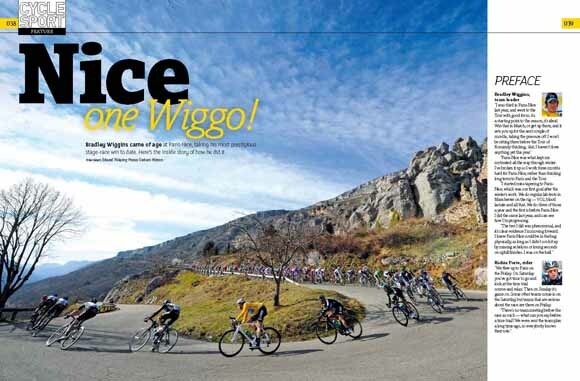 Cycle Sport June, featuring the very best writing and photography of professional cycling, is available from Wednesday April 11in the UK, and later in the USA. It is also available electronically through Zinio.